I love this color!!! 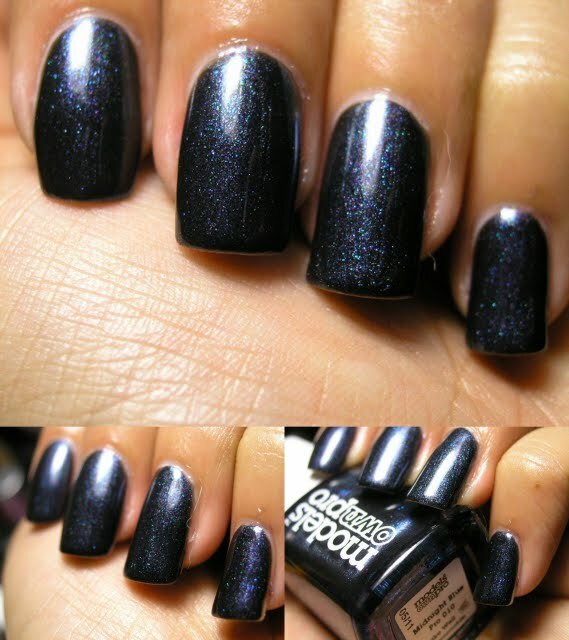 it is a black base with blue and purple glitter intersperced throughout. This is the last of the Models Own that I have to show you, and I saved the best for last! As soon as I saw this color I couldn't wait to wear it!